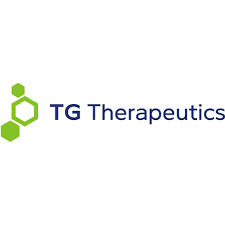 Ladenburg Thalmann raised its price target for TG Therapeutics (NASDAQ:TGTX) to $39 from $27 after the company presented positive interim data from a Phase 2b pivotal trial in relapsed/refractory marginal zone lymphoma (r/r MZL) at a meeting of the American Association of Cancer Research. The stock closed at $8.09 on April 1. The UNITY-NHL Phase 2b pivotal trial, examining umbralisib monotherapy, showed an overall response rate (ORR), the primary endpoint for the study, of 52%, with a complete response rate of 19%, as determined by a central Independent Review Committee. In addition, the data show the responses were durable with the median duration of response not yet reached at a median of 12.5 months of follow-up. The ORR results met TG’s prespecified target guidance of 40% to 50%. “We are impressed with the early positive primary endpoint readout for the MZL cohort for the UNITY-NHL Phase 2b pivotal study and we look forward to the full study data expected by the end of 2019,” writes analyst Matthew Kaplan. In January 2019, TG was granted breakthrough therapy designation for umbralisib as a treatment for MZL in adults who had received at least one prior anti-CD20 treatment regimen. Mr. Kaplan said TG plans to meet with the FDA to discuss the regulatory path forward for umbralisib in r/r MZL. “Given there are currently no fully approved compounds for the treatment of r/r MZL … we believe there is strong potential [that] umbralisib could be allowed to follow the accelerated approval regulatory pathway based on the results from the MZL cohort from the UNITY-NHL Phase 2b study,” he added.